If Texas were a sovereign country, it would rank as the tenth largest economy in the world, with a GDP of $1.7 trillion. Texas also ranks highest among states in the United States for business. In fact, Texas has added 350,000 jobs in the past year (one in seven new jobs in the U.S. were in Texas). Texas’ strong economy is married to the current energy boom in Texas. Major oil and gas formations in Texas include the Barnett, Eagle Ford, Haynesville, and Permian Basin. The Permian Basin alone is projected to exceed Saudi Arabia in production by 2023. With economic prosperity and low unemployment rates, comes population rise. Texas ranks second among states with population size, weighing in at 28 million residents. Demography estimates suggest that 400,000 people migrate to Texas each year—more than 1,000 people a day. Texas is on track to exceed 40 million residents by 2050. Population growth in Texas is largely concentrated is the urban hubs of Houston, Dallas, Fort Worth, Austin, San Antonio, the Lower Rio Grande Valley, and El Paso. Most recently the Trans-Pecos has been discovered as prime real estate for energy development. And, it’s not just oil and gas that’s being developed. Solar and wind energy are now at the forefront of energy development in the Trans-Pecos. Bordering one of the most productive energy arenas in the world, the geographic footprint of the energy sector has slowly surged its way into the Trans-Pecos. Energy plays and associated infrastructure like the Delaware Basin, Alpine High, the Trans-Pecos Pipeline, and the proposed windfarm in the Devils River watershed are recent activities in the region that have brought conflict and could impact the ecological integrity and communities of the region. Among the 10 ecoregions in Texas, the Trans-Pecos stands out as the most iconic, the most diverse, and the most pristine. The Trans-Pecos represents the northeastern extent of the Chihuahaun Desert, one of the most biologically diverse regions of the world. Mountain ranges erupt from the desert floor and exceed elevations of 8,000 feet. This contrast in elevation greatly influences the area’s diversity. From desert grasslands to cienegas to ponderosa pine forests, plant communities and plant species are varied with over 2,000 known species. These diverse habitats also support a large variety of wildlife species. The region supports over 500 species of birds, some 170 species of reptiles and amphibians, and more than 120 species of mammals. Biological diversity comes in all shapes and sizes. 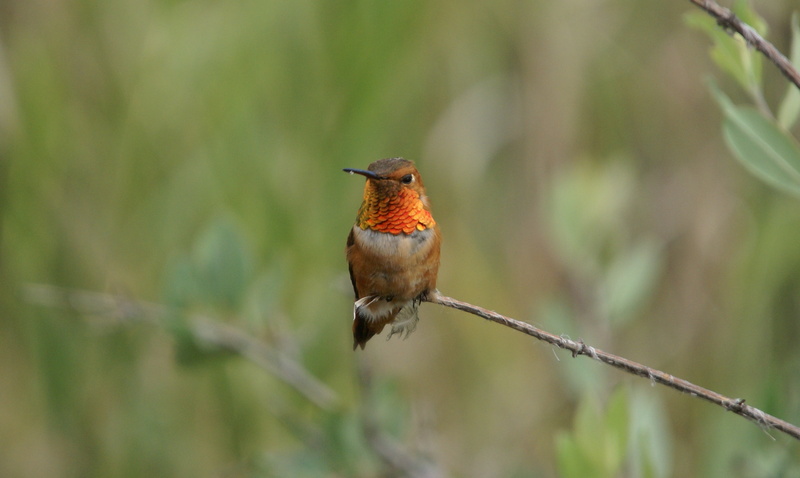 The Trans-Pecos is a critical migratory pathway for a host of birds and butterflies, including 15 species of hummingbirds who call the Big Bend home. Pronghorn are an iconic species of desert grasslands, but their populations have seen better days. 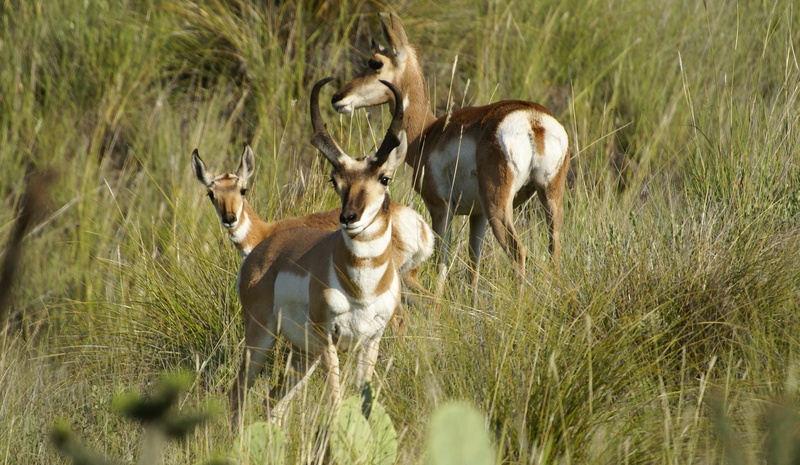 Habitat loss and fragmentation have sent pronghorn populations in the Trans-Pecos into a tail-spin. The Trans-Pecos has a diversity of big game, including pronghorn, desert bighorn sheep, desert mule deer, white-tailed deer, and elk. 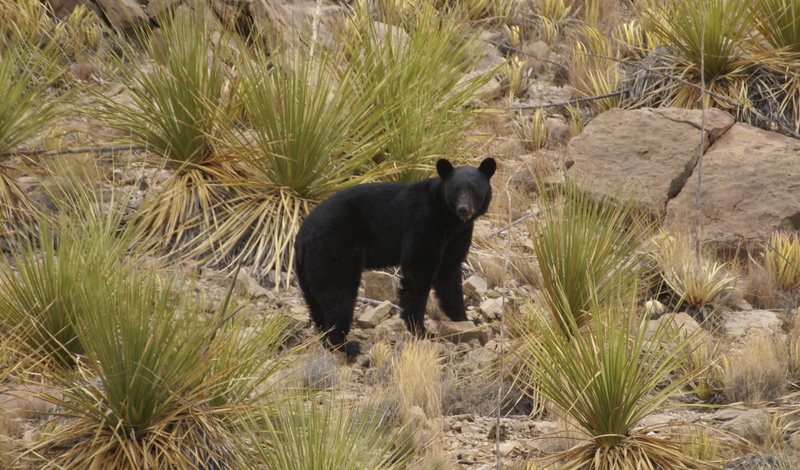 Extirpated in the 1950s, black bear populations are naturally recolonizing the Great Big Bend Region using dispersal corridors from core populations in New Mexico from the north and Mexico from the south. 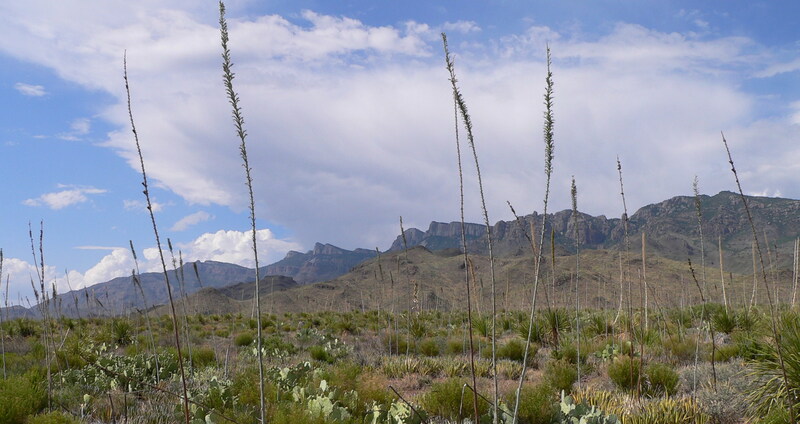 Located in a region where private property rights and heritage are paramount to the Texas lifestyle, the Trans-Pecos offers the most public lands in the state, equating >1 million acres of rugged wilderness. Iconic locales like Big Bend National Park, the Marfa Lights, McDonald’s Observatory, Pinto Canyon Road, and the Scenic Loop of the Davis Mountains should be on all Americans’ bucket list. Each town within the Trans-Pecos is diverse and melds by varying degrees: ranching heritage, musical/artistic, traditional, academic, and eclectic lifestyles. Each community, however, is grounded in heritage and ample historic lodging options, such as the Chisos Basin Lodge, Gage Hotel, Cibolo Creek Ranch, Limpia Hotel, Prude Ranch, Paisano Hotel, El Capitan, and Lajitas Resort. History and heritage are central themes to the Trans-Pecos. One of the earliest explorers, Alvar Nunez Cabeza de Vaca worked his way through the region in 1535. The legendary lawman, Judge Roy Bean served as the “Law West of the Pecos” in the late 1800s and in the early 1900s the infamous Pancho Villa frequently raided communities along the borderlands of the Trans-Pecos. Other Texas iconic figures that made their mark on the Trans-Pecos include the likes of Amon Carter, the Fort Worth business mogul who helped sway President Franklin D. Roosevelt to help establish Big Bend National Park in the late 1930s. Pioneering artist Donald Judd stumbled across Marfa in the 1960s. His affinity for the region’s light and landscape has helped define the minimalistic art scene that defines Marfa today. In addition to the rich history of the region, the Trans-Pecos has been the backdrop to a multitude of iconic Texas films including No Country for Old Men (starring Tommy Lee Jones, Javier Bardem, and Josh Brolin), The Three Burials of Melquiades Estrada (also starring Tommy Lee Jones), There Will be Blood (starring Daniel Day Lewis), and the cult classic Fandago (starring Kevin Costner and Judd Nelson). But none are more iconic than George Steven’s Giant that starred Elizabeth Taylor, James Dean, and Rock Hudson. Ironically, the storyline tracks the changes associated with historic ranches and the discovery of oil (Marfa’s Paisano Hotel and Alpine’s Reata restaurant are unofficial museums of Giant). 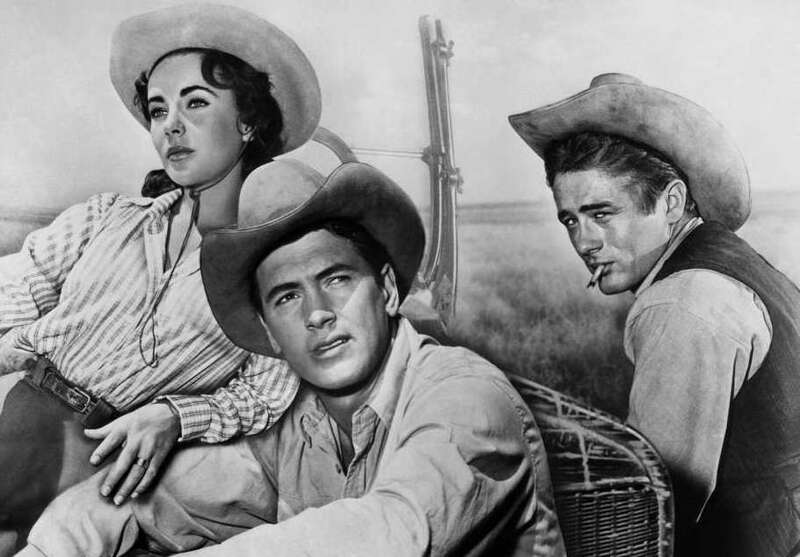 Elizabeth Taylor, Rock Hudson, and James Dean in Giant, the iconic film shot on private ranches near Marfa. Most of the Trans-Pecos is virgin territory for energy development. Energy projections suggest that the age of energy development in the Trans-Pecos is at the start-up stage. Projections for the Trans-Pecos are staggering, with an estimated 75 trillion cubic feet of gas, three billion barrels of oil, $1 billion invested in solar, and 450 mi2 in wind energy. Local communities are ill-prepared for the infrastructure, social, cultural, and economic changes that come with energy development. The Trans-Pecos is one of the least populated regions of the state, where only three percent of Texans (850,000) live west of the Pecos River. However, >90% of the Trans-Pecos residents live in the county of El Paso, leaving only 80,000 residents distributed across its other eight rural counties. With such a low population density, the voice of the Trans-Pecos amounts to no more than a whisper when it comes to governance and legislative matters. The Trans-Pecos is Texas’ last frontier. Known for its remote and rugged beauty, the region is one of the most biologically diverse regions of the world. Further, as a desert, the Trans-Pecos is a sensitive ecosystem. Water resources are inherently rare, and the desert ecosystems are unforgiving. Because of precipitation levels and topography, the landscape recovers much slower than it does elsewhere. Thus resource managers have fewer tools to utilize when recovering habitat after energy development. Notwithstanding the tremendous conservation, recreational, and historic value, the Trans-Pecos is experiencing unprecedented pressures on its natural resources. As energy sprawl creeps into the Trans-Pecos, the wildlife, natural resources, and heritage of the region demand careful consideration. We can’t lose sight of what we will sacrifice if we stick to a “business as usual” approach as we develop the Trans-Pecos. Energy development can be compatible with conservation, but it takes a focused commitment by all parties. In a time when the average child spends only four to seven minutes of their day outside, Texans need the Trans-Pecos to seek adventure, explore their history and culture, and find reprieve and spirituality. The Trans-Pecos epitomizes the spirit and landscape of Texas. But the communities, landowners, energy industries, and conservation organizations need a mechanism to develop a shared vision for the Trans-Pecos. If we are to maintain some semblance of wildness in the great state of Texas, we need to start with the Trans-Pecos: Texas’ Last Frontier. Dr. Louis A. Harveson is the founder and director of the Borderlands Research Institute and holds the Dan Allen Hughes, Jr., Endowed Directorship. Since 1998, Dr. Harveson has served as a faculty member at Sul Ross State University in Alpine, Texas where his research program has focused on the ecology and management of large mammals, upland gamebirds, and predators. Harveson’s research efforts have focused on the borderlands of Texas-Mexico including Gulf Coast Prairies, South Texas Brush Country, and the Trans-Pecos Mountains and Basins. Harveson received a B.S. in Wildlife Management from Texas Tech University, an M.S. in Range and Wildlife Management from Texas A&M University-Kingsville, and received his Ph.D. in Wildlife Science from the Joint Ph.D. program at Texas A&M University-Kingsville and Texas A&M University. Editor's note: This is a reprint of a blog post originally published at CGMF.org by the Cynthia and George Mitchell Foundation on August 22, 2018. The views expressed by contributors to the Cynthia and George Mitchell Foundation's blogging initiative, "Actionable Solutions for a New West Texas" are those of the author and do not necessarily represent the views of the foundation. The foundation works as an engine of change in both policy and practice, supporting high-impact projects at the nexus of environmental protection, social equity, and economic vibrancy. Follow the Mitchell Foundation on Facebook and Twitter, and sign up for regular updates from the foundation.